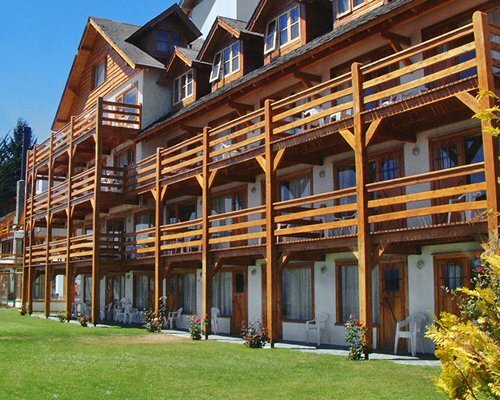 Apart del Lago has a maximum capacity of 150 guests, all units have incredible views of the lake and mountains, and they are fully equipped. The Hotel services are: in-out 32° heated pool, Dry Sauna, Massage Room, Gym, Restaurant, Confectionery, Paddle Tennis court, Parking, 24 hrs Front desk, direct beach access ; Internet, Wi-Fi throughout the hotel; Live evening shows and meeting room. 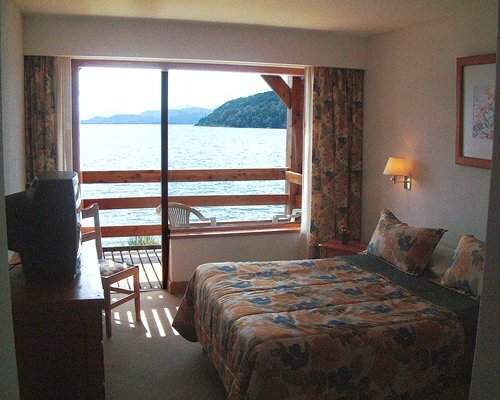 The hotel provides a variety of room types, many have balconies with views of the beach and lake. 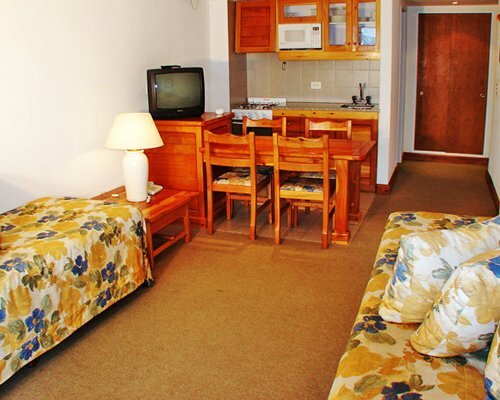 All rooms have cable TV, DVD, central heating, amenities, hairdryer and an individual safe. 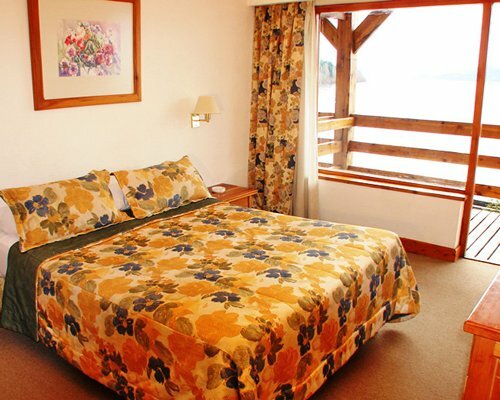 You can opt for units with double or twin beds. 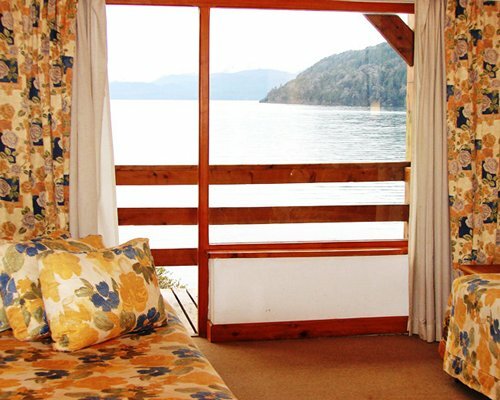 Apart del Lago, is located in the Nahuel Huapi National Park, on the shore of the lake of the same name in Playa Bonita. 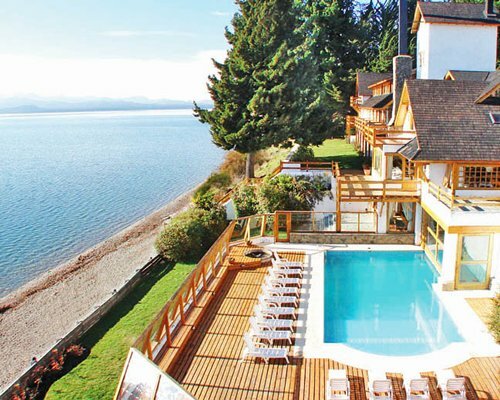 We are 7.8 km from the center of San Carlos de Bariloche (only 10 minutes by car) and the privileged framework on the coast makes guests’ stay unforgettable, due to the charm of its surroundings. 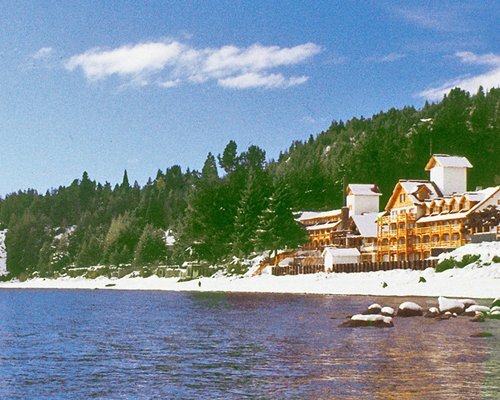 Dista del Cerro Catedral is the best ski center of South America, at only 17km away, the resort has its own tour agency and all activities for guests depart from the hotel. 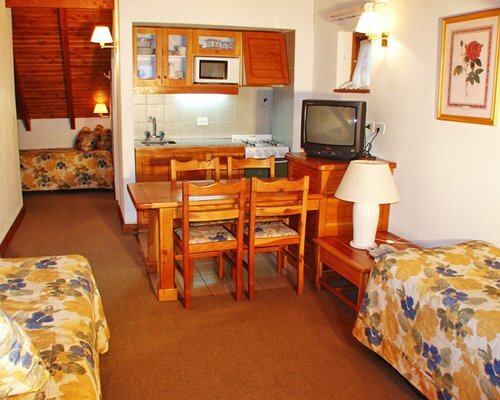 The complex is 22km from the Teniente Luis Candelaria International Airport. 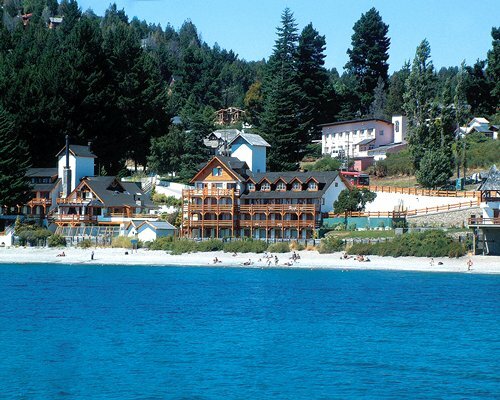 You can also get to Bariloche by bus and private cars. The main land route is route 237 "Luis Piedrabuena" that enters from Neuquén and connects through the Argentine system of routes with Buenos Aires and the rest of Argentina. Mandatory Security deposit is 300.00 to 500.00 local currency. Cash or Credit is accepted. Mandatory Utility surcharge is 400.00 to 800.00 local currency. Cash or Credit is accepted. Surcharge of 400.00 to 800.00 local currency per week, according to the size of the unit.